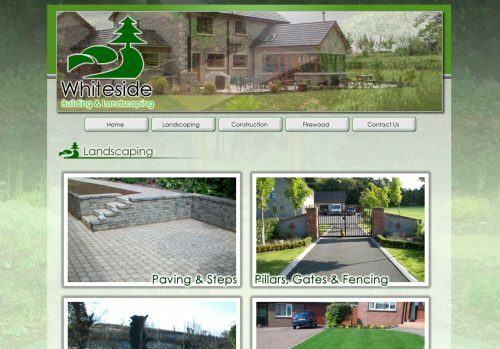 We are pleased to announce that this week we have launched a website for Mid Ulster construction and landscaping company Whiteside Building and Landscaping. The website provides an excellent means for the business to display recent work to potential customers in the fields of landscaping, garden maintenance and construction. Using special lightbox technology we are able to display small pictures of the projects which will enlarge when clicked.